Fully developed industrial property located in Manor Business Park, NN11 3UB. Manor Business Park is an excellent location for an industrial property unit in Northamptonshire. Situated in Woodford Halse, it’s a great position between Daventry and Banbury, approximately 10 miles to Junction 11 of the M40 motorway and 11 miles to Junction 16 of the M1. The park is 16 miles south west of Northampton, 7 miles south of Daventry and 12 miles north of Banbury. All of the industrial property on the park is self-developed. Ranging from warehouses and offices to production units, we always guarantee quality construction. 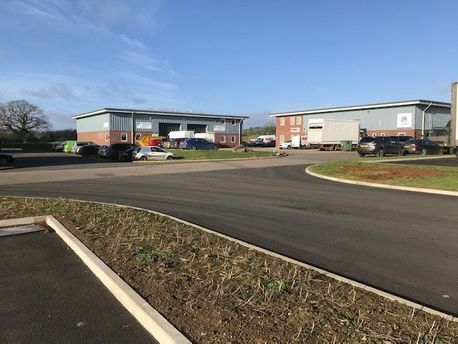 This approach to creating new and modern industrial units means there is always something available to let, allowing you to expand or relocate to a modern and attractive industrial space. We help businesses looking to rent, buy or sell industrial property. Whether this is industrial units, warehouses, manufacturing units, storage or distribution, we can help. By working with a range of nationwide companies and smaller enterprises, we’ve made flexibility our main focus, allowing us to cater for many different businesses, regardless of size or sector. All of our focus is on our clients. We use our knowledge to deliver an effective property development and lettings service that is growing nationwide. Our family-owned business understands your industrial letting needs, utilising over 50 years of experience, extensive local knowledge and a focused team of staff. Want to book in to view Manor Business Park? Please call us on 01544 318788 or fill out the contact form. Manor Business Park is extensive, with units between 3,000 and 18,000 Sq Ft available. It’s well maintained with all of the necessary main services including high-speed internet. As one of the few speculatively built developments in Daventry and Banbury, there’s 33,000 Sq Ft being speculatively built. Onsite parking is available for each unit with a minimum 6m eaves height. Each unit is built to a high specification, with full landscaping as well as fenced and gated security. If you any queries regarding our business park or available lettings, don't hestitate to get in touch below.